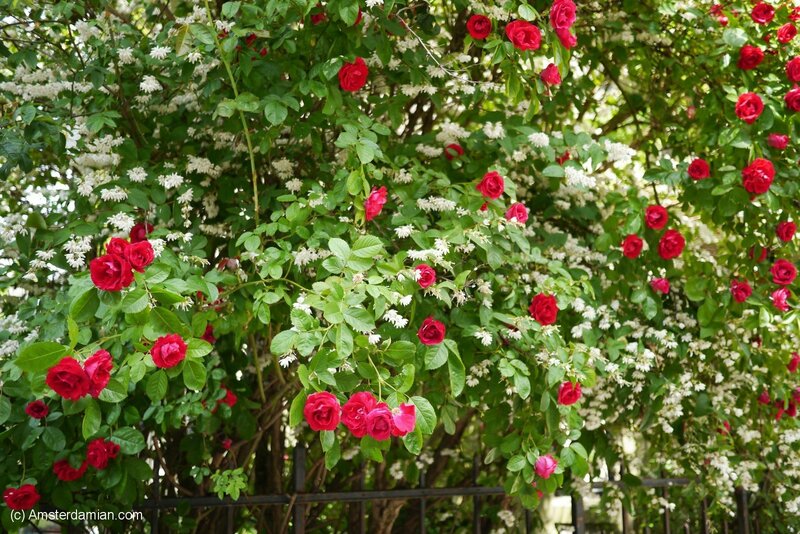 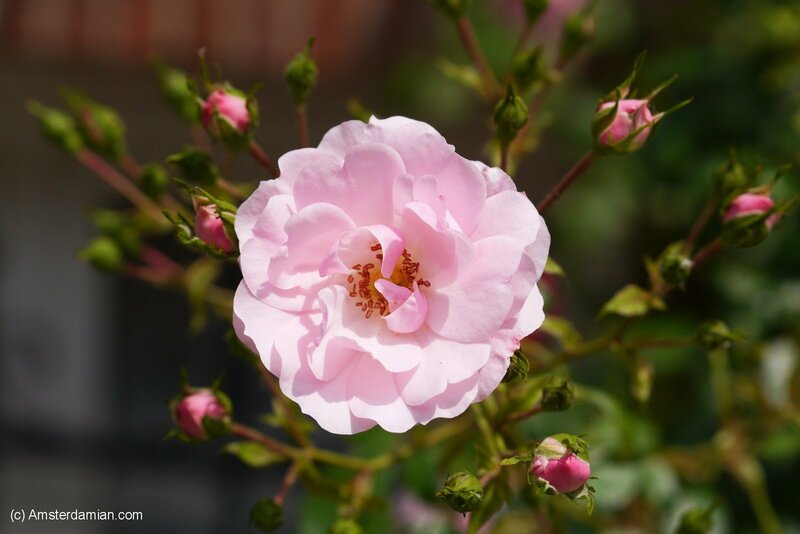 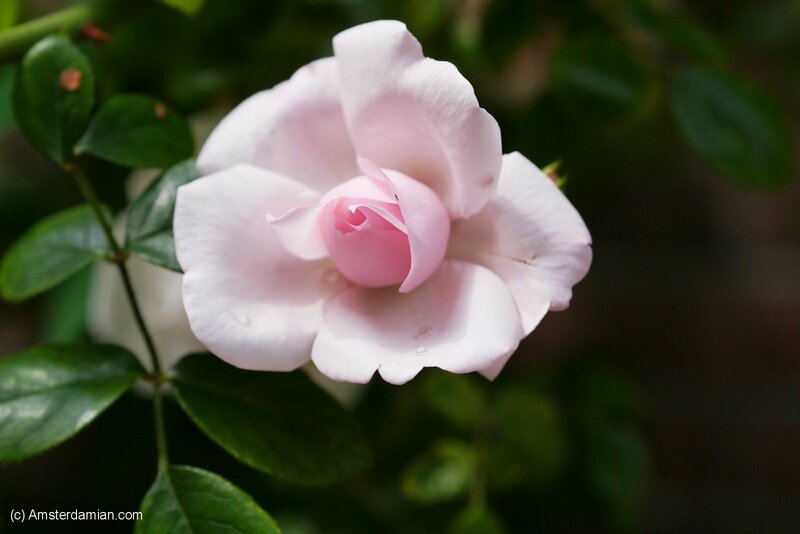 It’s that time of the year when the roses are blooming again. 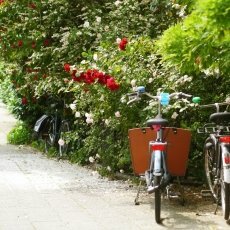 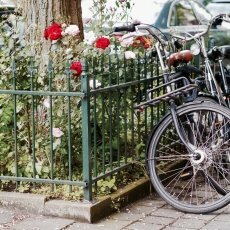 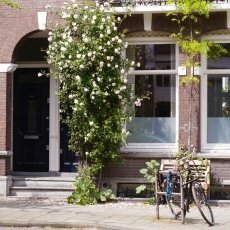 Amsterdam’s streets are decorated with roses these days, and this year I was determined to photograph as many of them as I could. 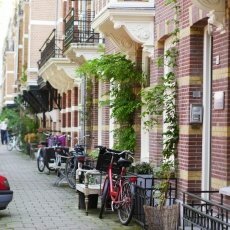 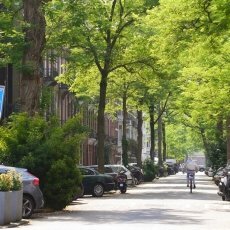 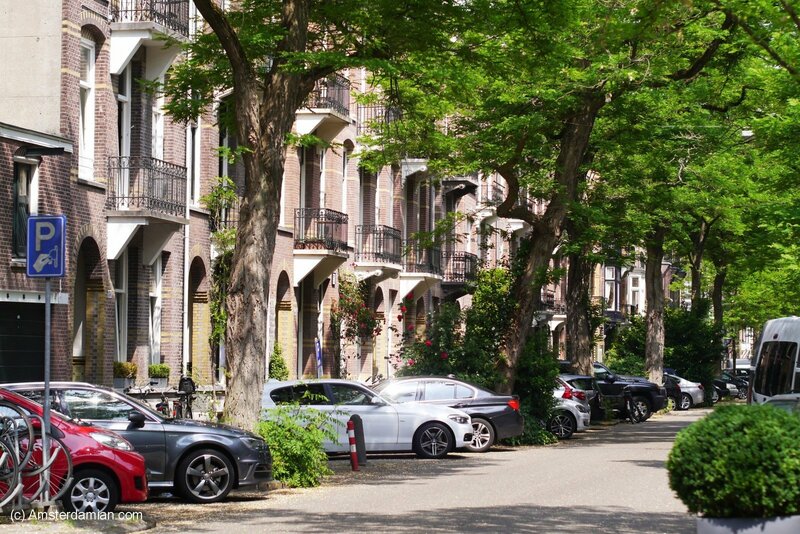 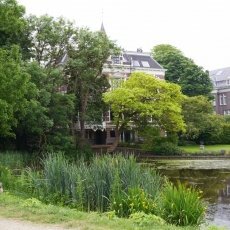 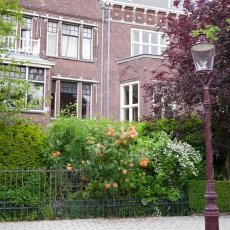 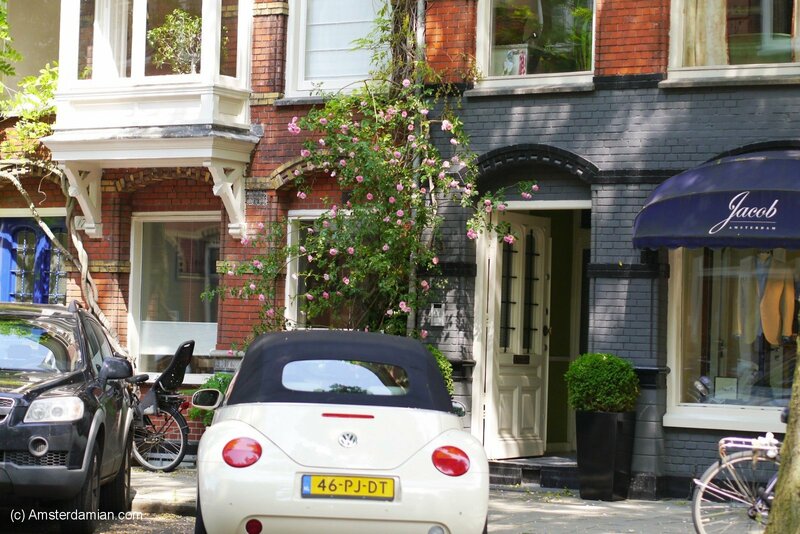 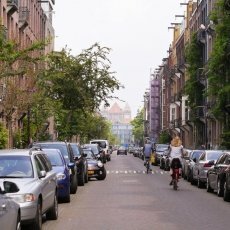 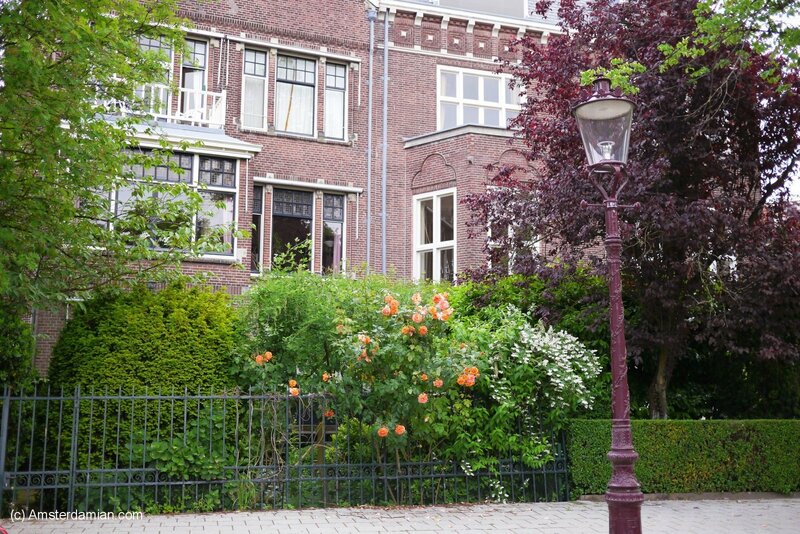 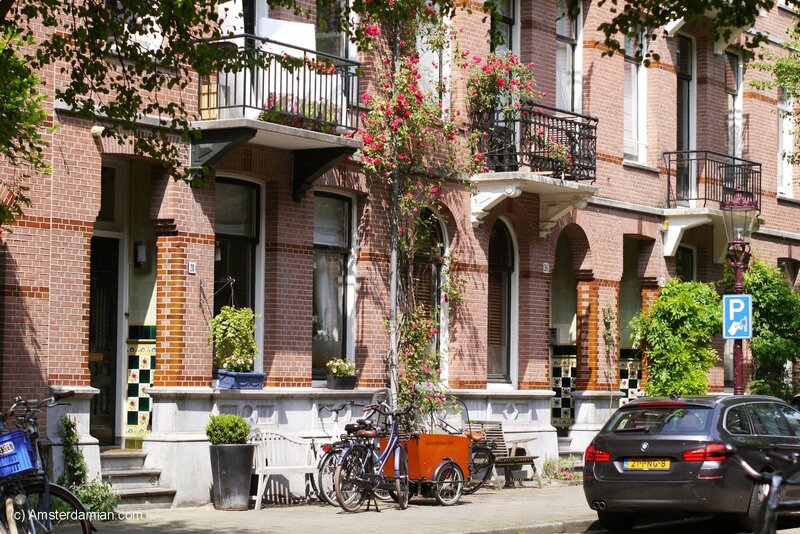 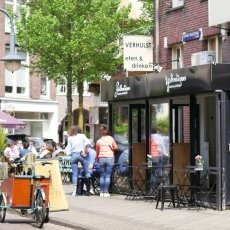 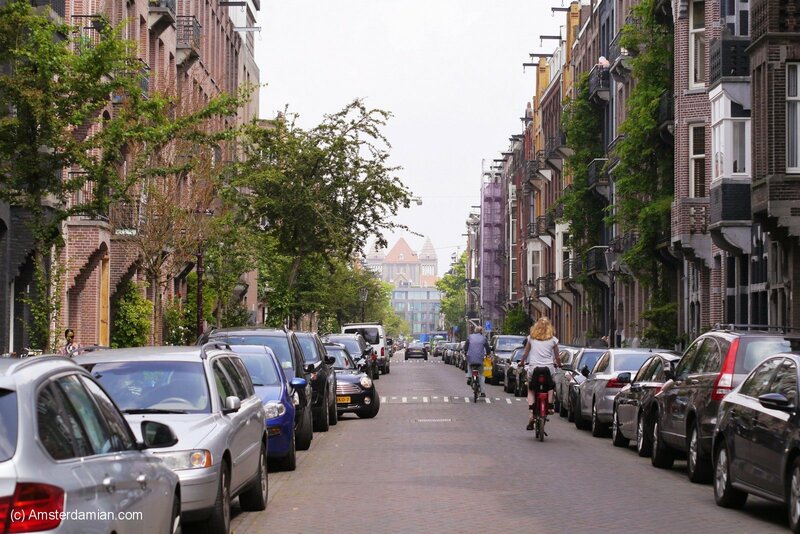 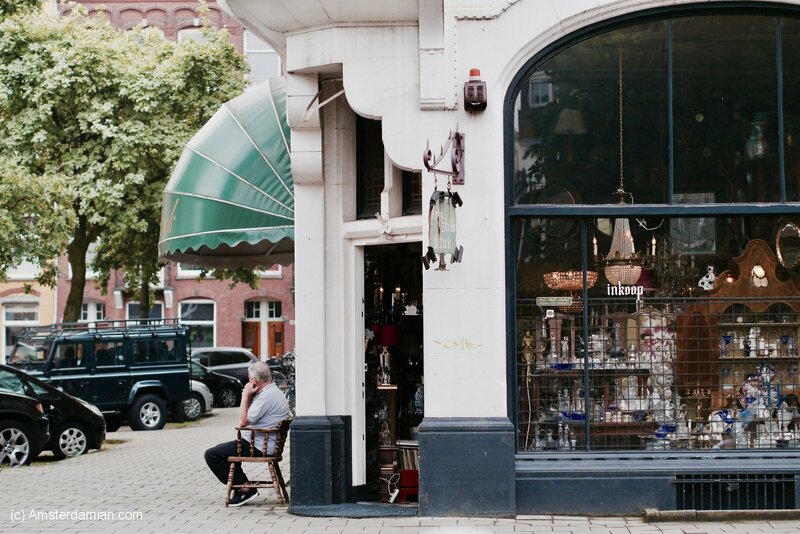 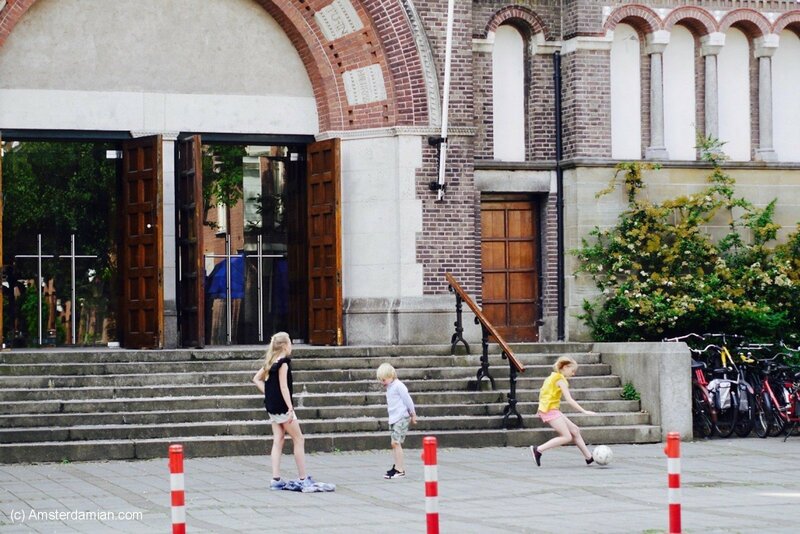 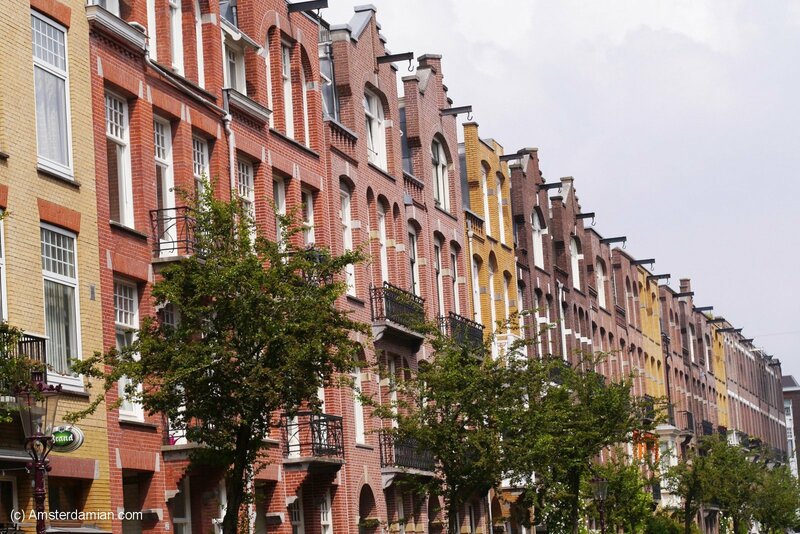 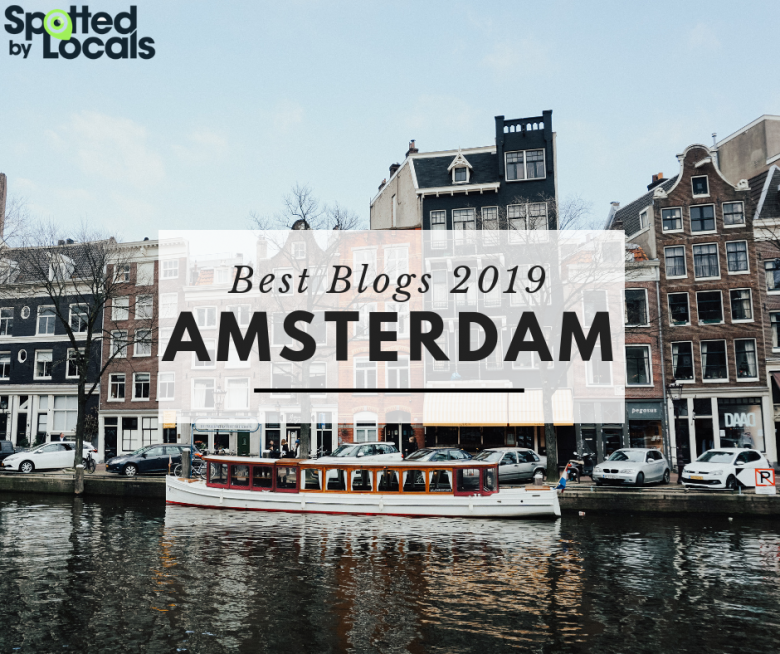 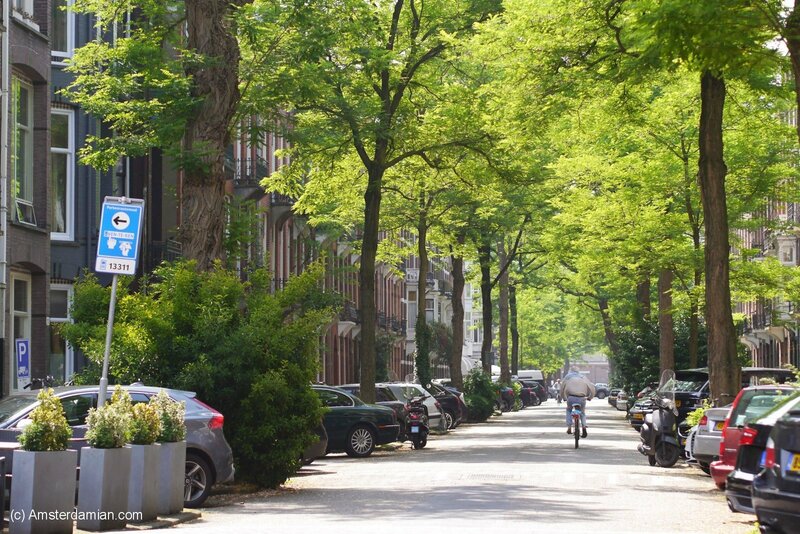 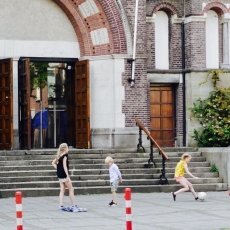 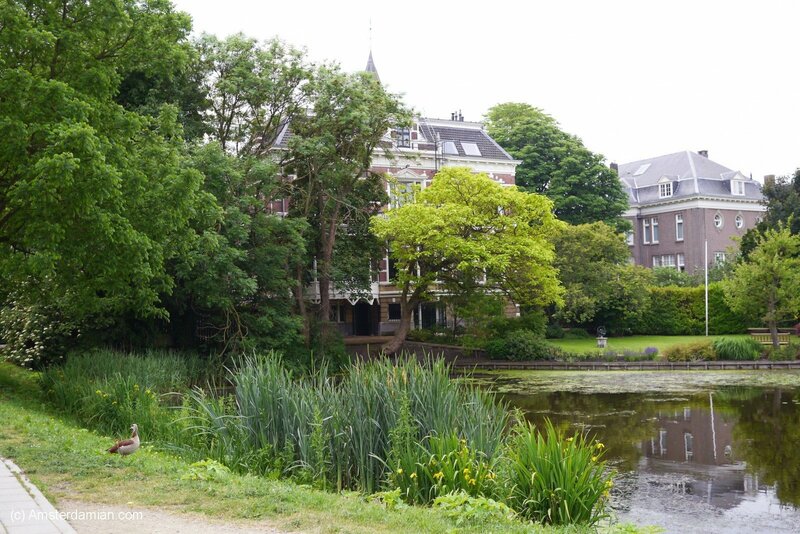 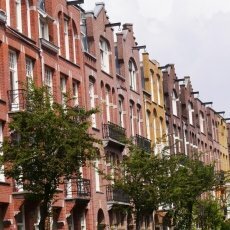 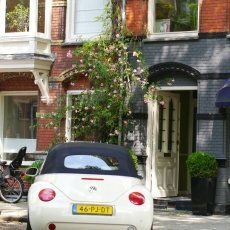 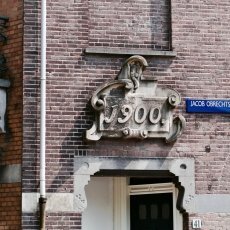 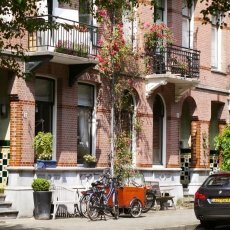 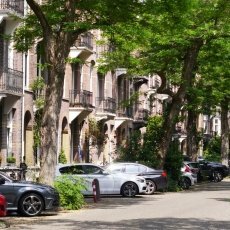 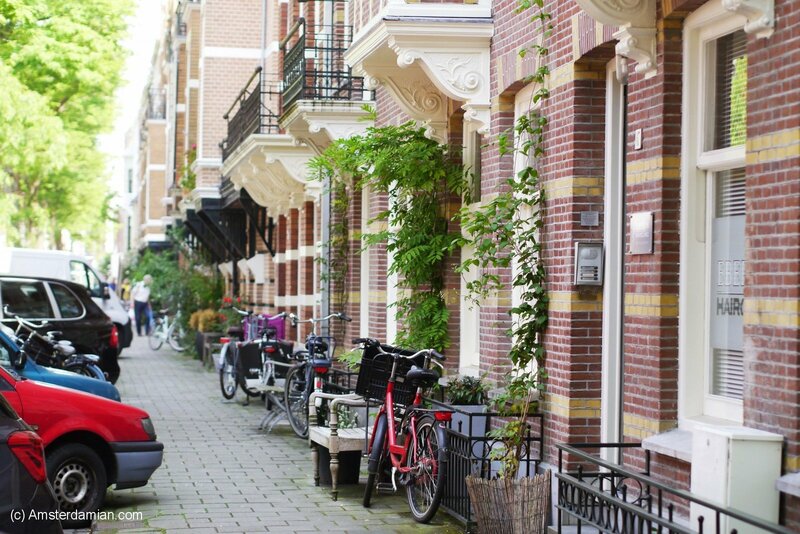 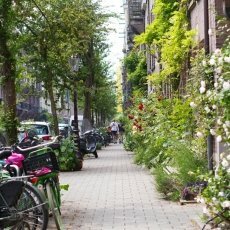 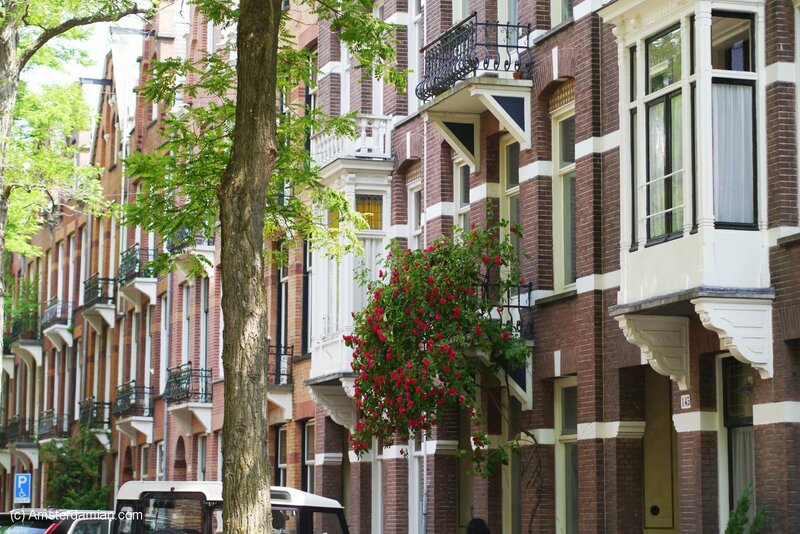 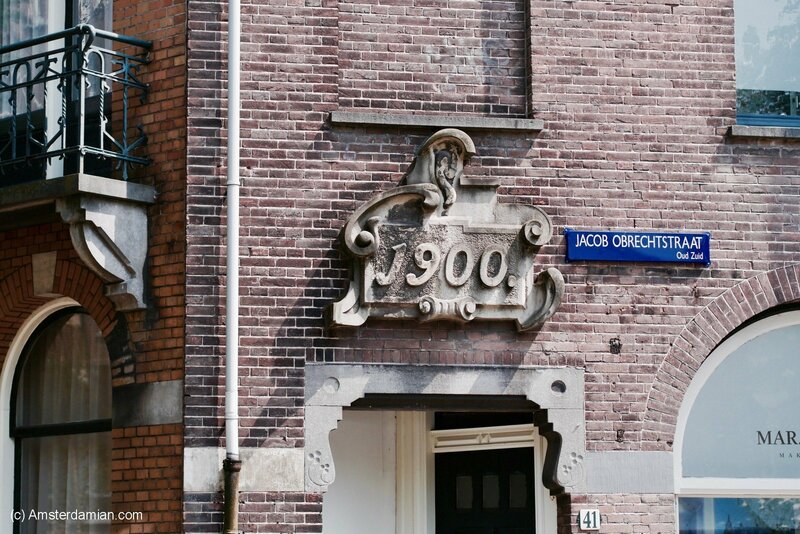 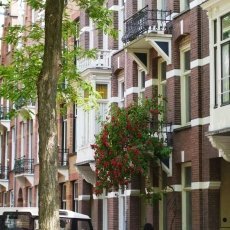 I decided to start with the beautiful Oud-Zuid, my favourite Amsterdam neighbourhood after the Jordaan. 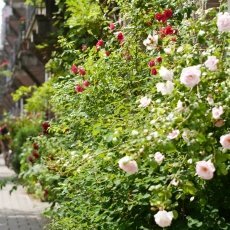 Last weekend, before the weather turned bad and the wind scattered most of the flowers, I wandered these lovely streets and stopped and smelled all the roses I found on my way. 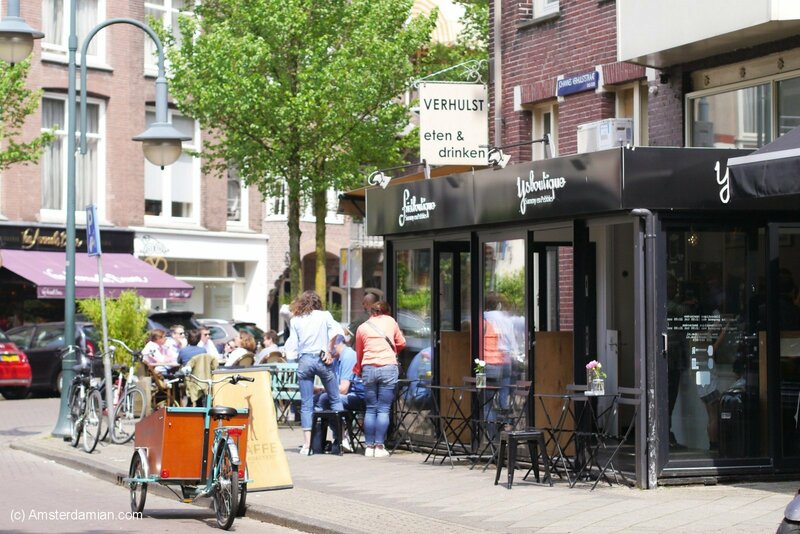 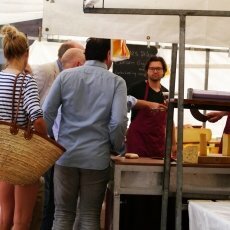 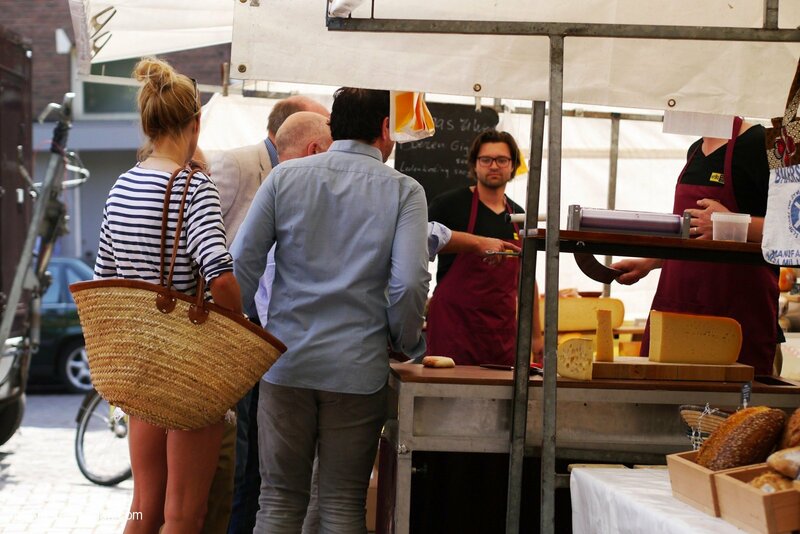 It was a Saturday, the feel of the place was very laid-back, people were at the market or having lunch outdoors, the sun was shining and children were playing in the streets. 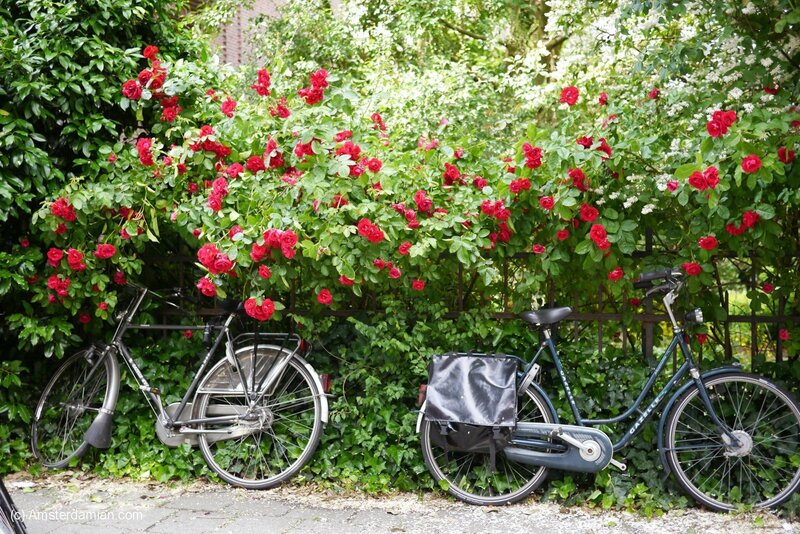 A perfect spring day. 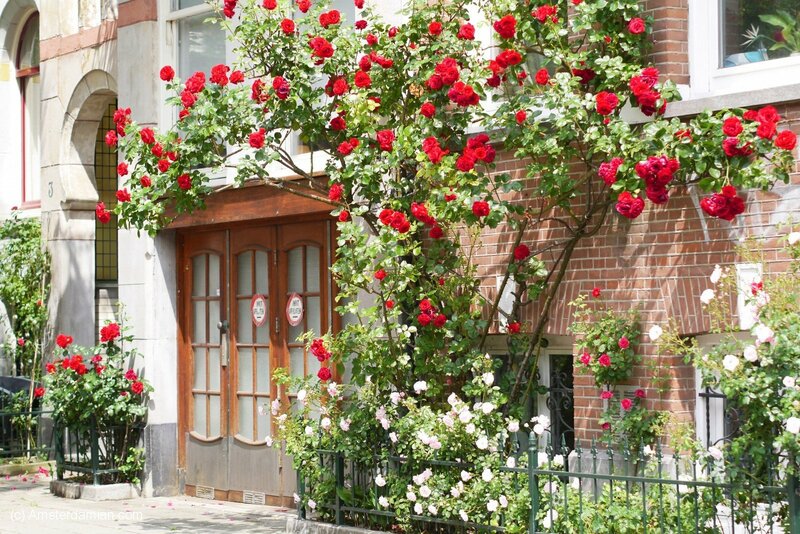 I don’t know if I ever told you, but I am obsessed with roses. 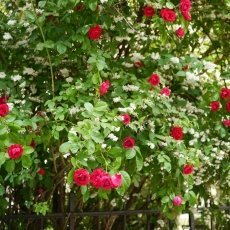 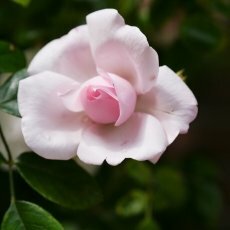 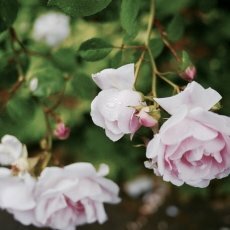 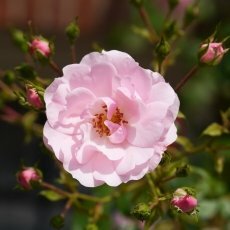 I don’t like the “perfect”, almost artificial ones that you buy from the flower shops, but the rose bushes exploding with delicate petals and amazing perfume, the flowers you feel like diving into with all your senses. 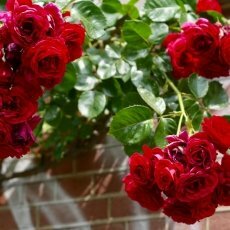 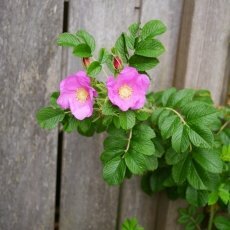 I love them in my house, my garden, in my perfume as well as in my food. 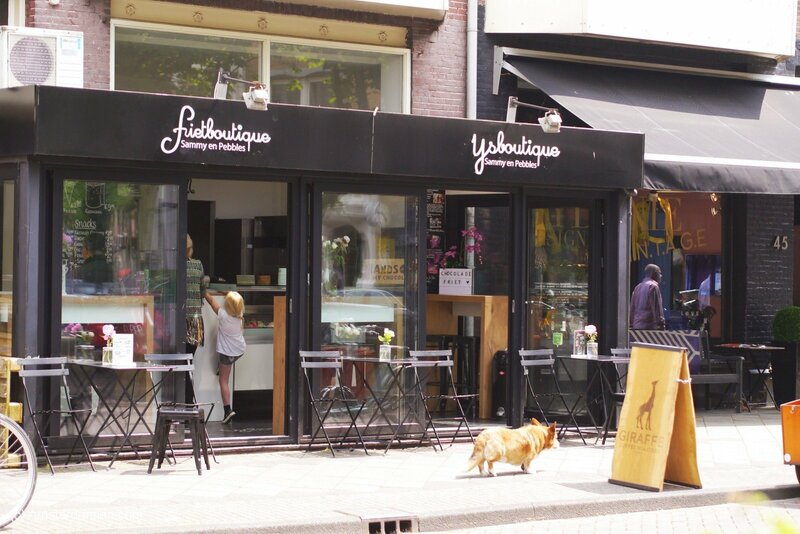 I couldn’t go to Oud-Zuid hunting for roses, then, without thinking to make a stop at the Macaron shop for… rose-flavoured macarons. 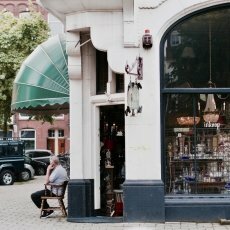 Unfortunately, the shop was closed. 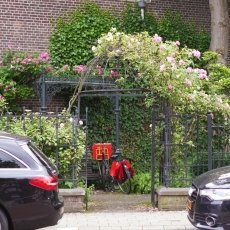 I thought perhaps I didn’t see it, maybe I went to a different address, given my lack of orientation skills, but the shop was nowhere to be found. 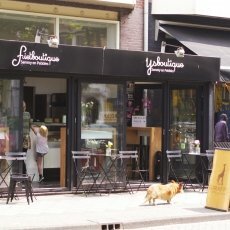 So I treated myself instead to a very good orange sorbet at the IJsboutique. 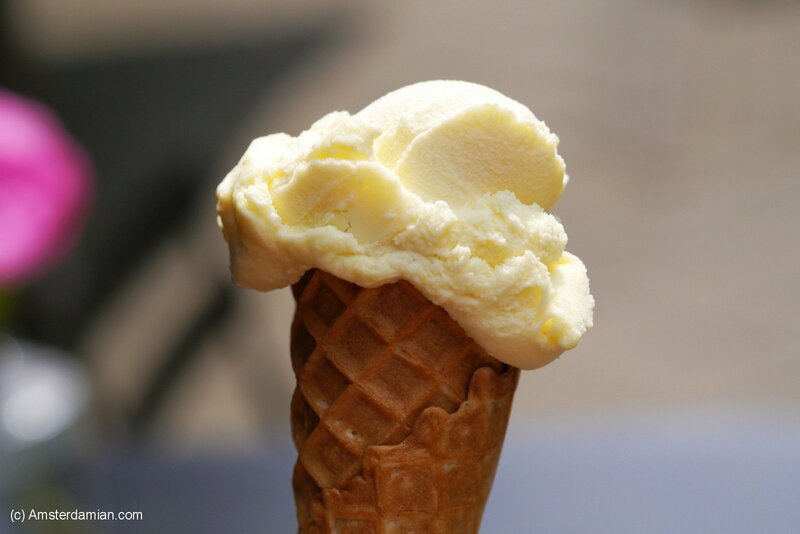 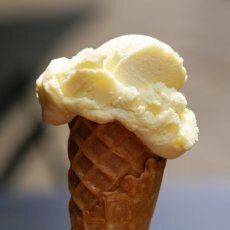 Not bad at all, in fact, even more appropriate for the hot day. 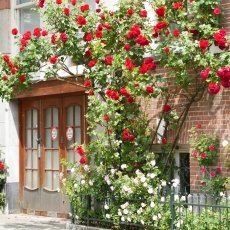 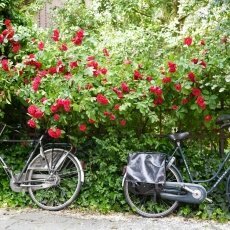 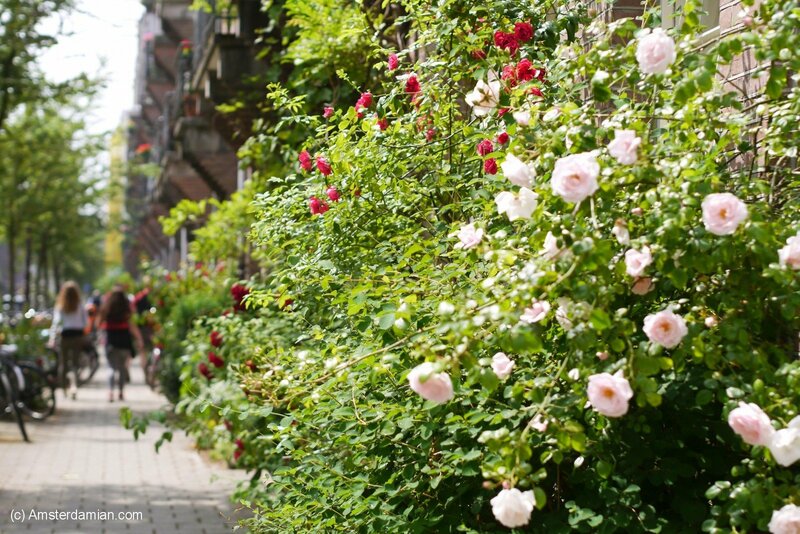 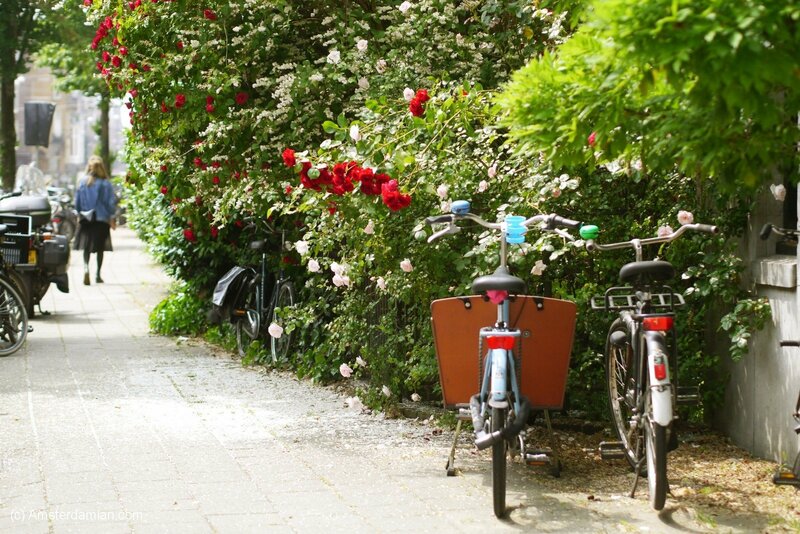 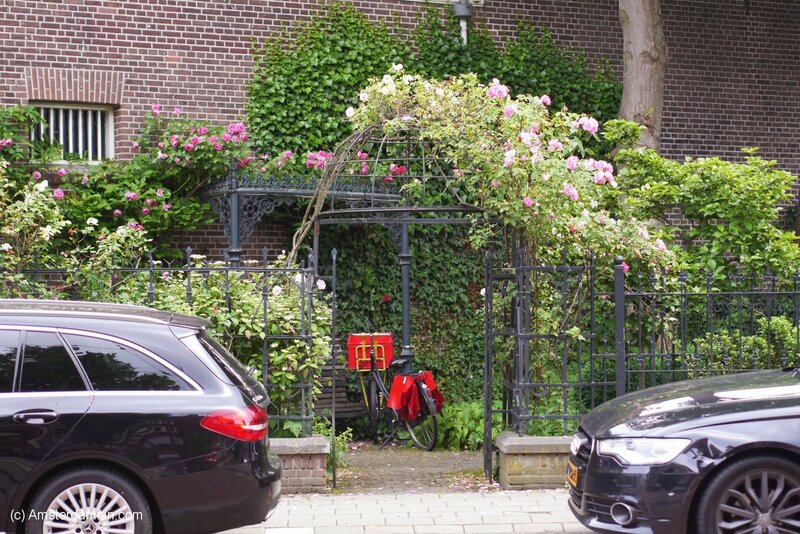 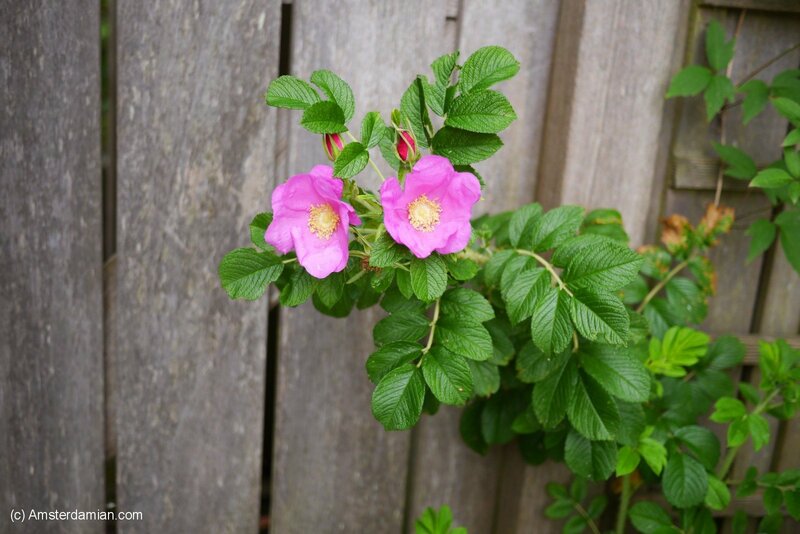 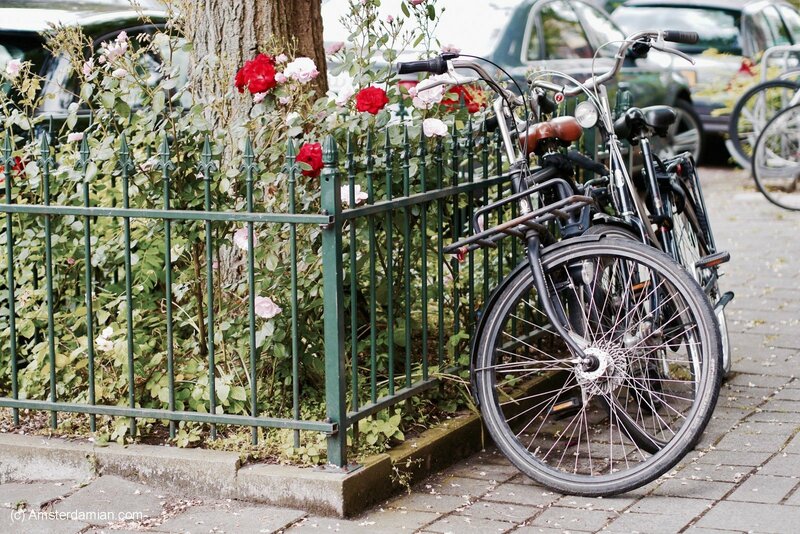 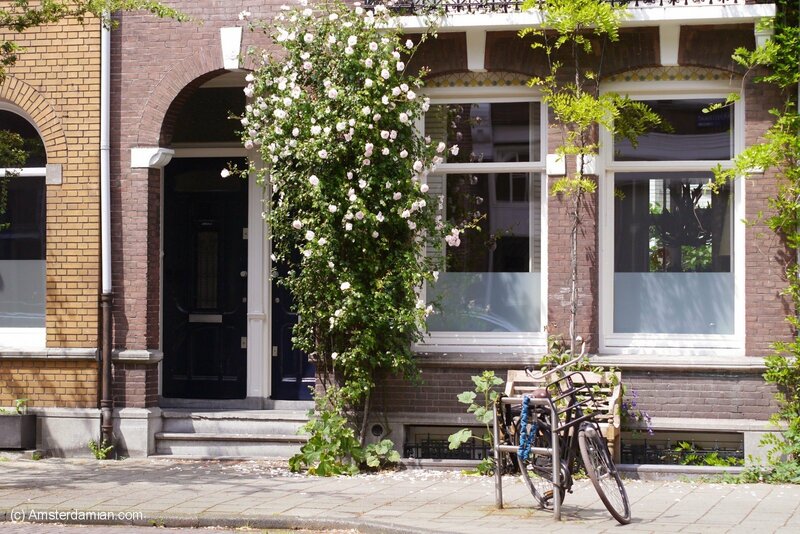 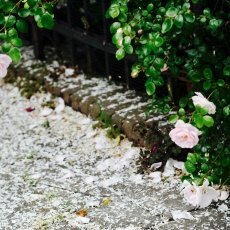 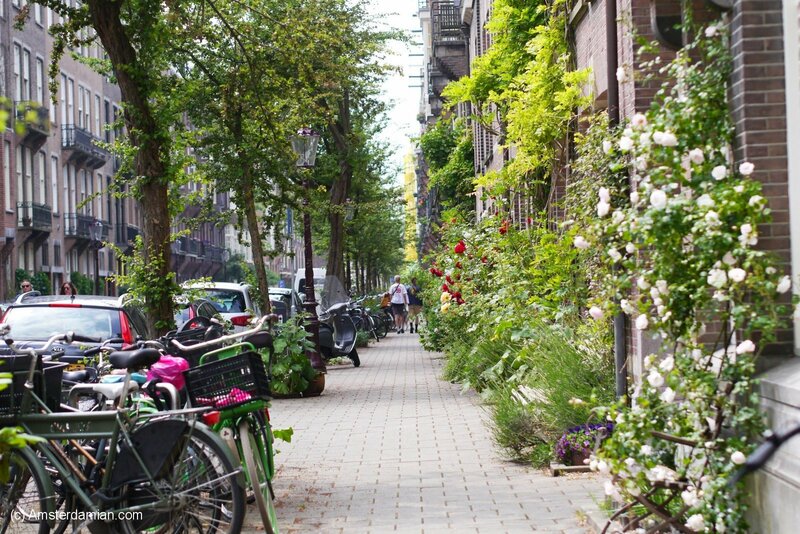 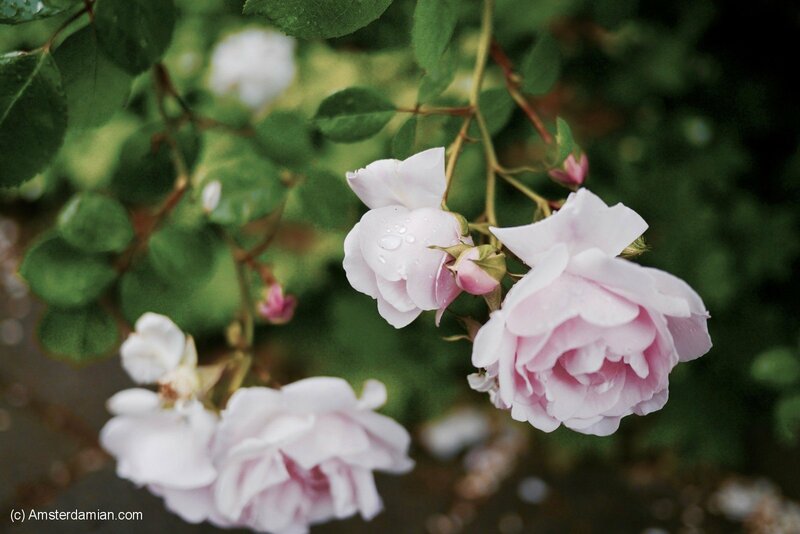 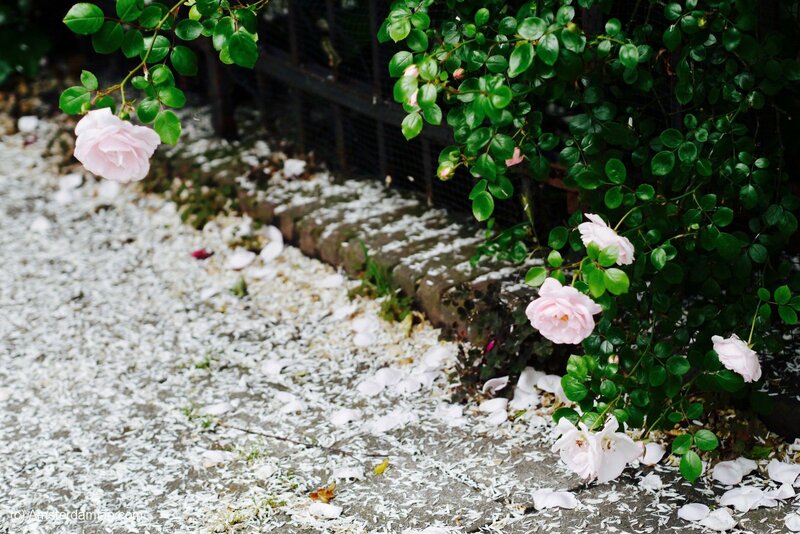 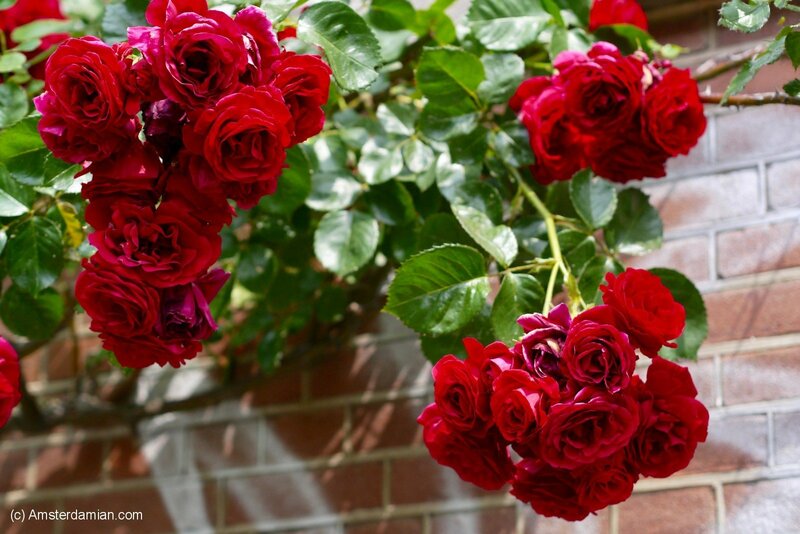 Next rose hunting destination: the Jordaan – hopefully there are still some roses left there after the storm.